Videos come in handy in many different situations. For example, they can be used for product advertisement, student and/or teacher presentations, video tutorials of a game or software and a lot more. Most of the time, sharing a video is an effective way to communicate or send information to others. However, different people may have different needs when it comes to video sharing. 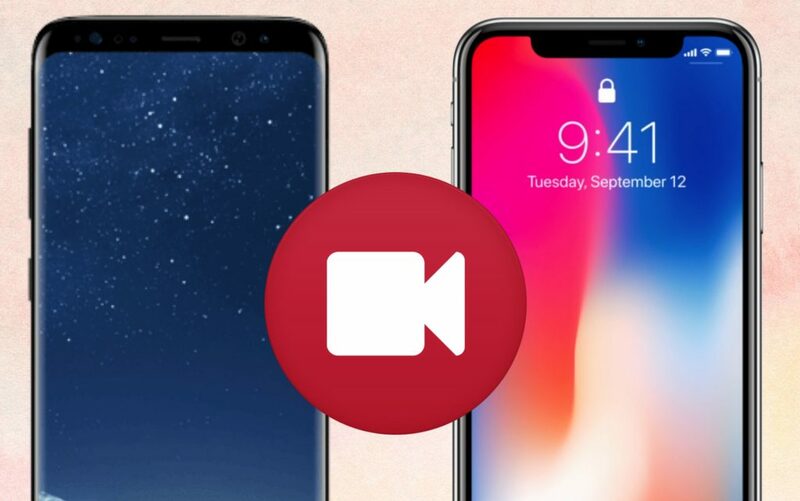 In this article, we will review the best video sharing apps for iPhone and Android, just select the one that meets your needs. 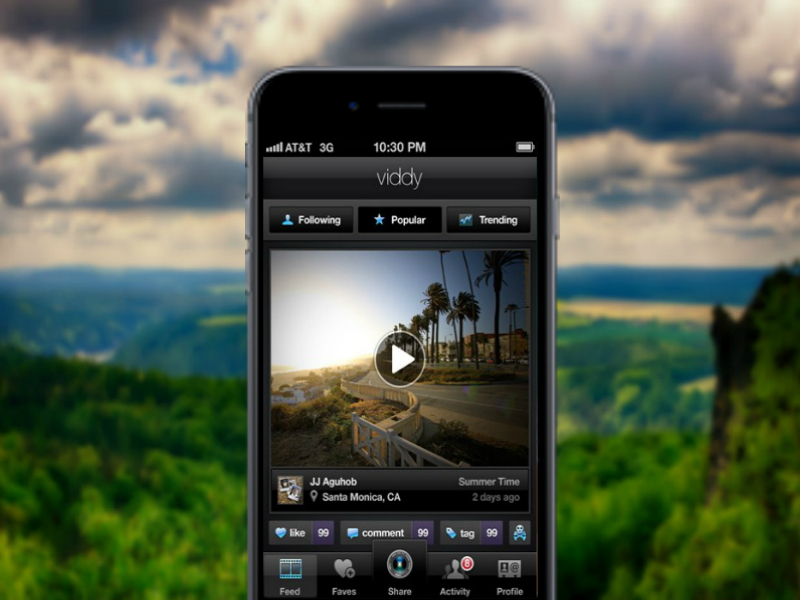 Viddy is a video sharing application that can create 15 seconds videos, which can be shared with friends and colleagues. 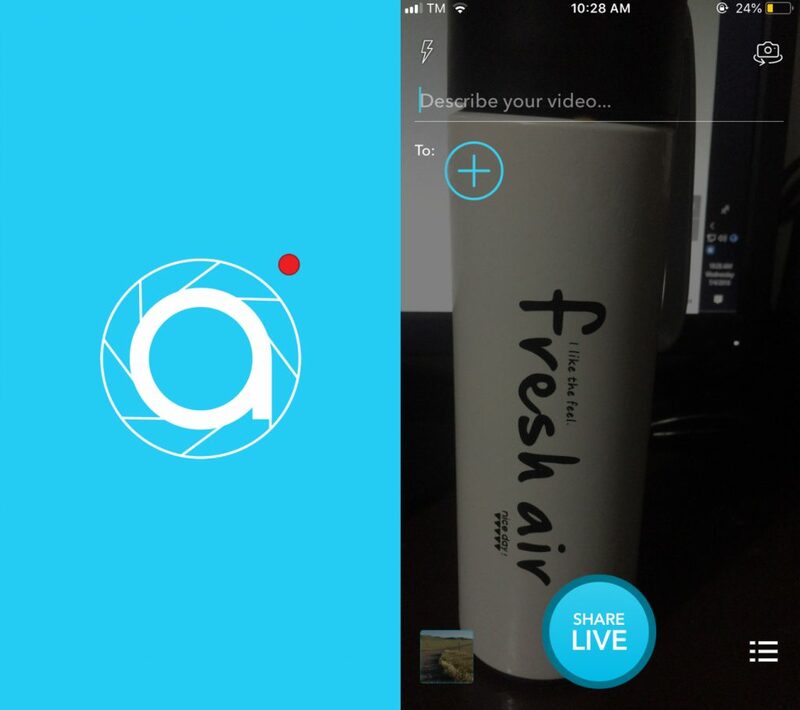 Users can capture videos easily thanks to the app’s a simple interface. Furthermore, it lets you add some effects, filters, and sound to the video before sharing them. To use this application, simply install it on your iPhone, and create an account or sign up using your Facebook or Twitter account. Then you can use it freely. It has a user-friendly main interface. Add effects while shooting a video. Landscape orientation is not applicable. 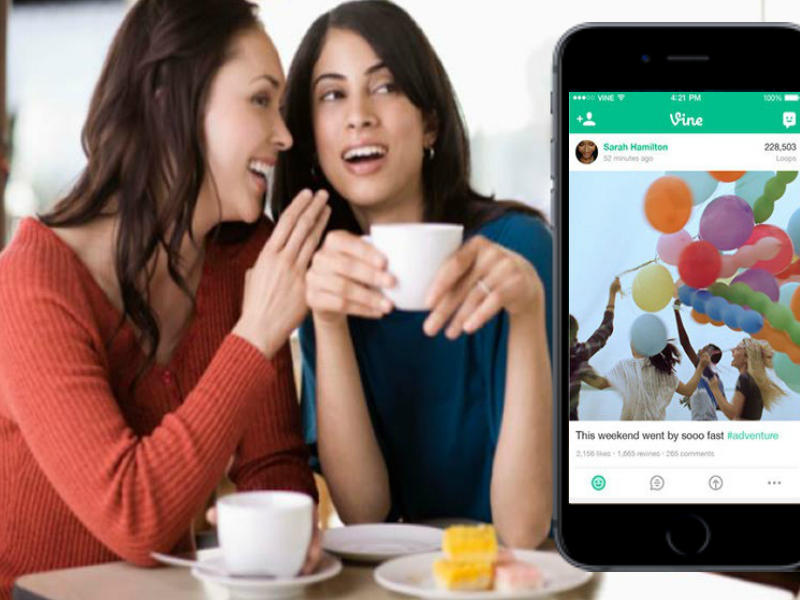 Another amazing video sharing app that can make and share a 6-second video is Vine. This is a free tool that you can get from the App Store. This program is perfect for making and sending short video greetings for birthdays, anniversaries, wedding days and other special occasions. 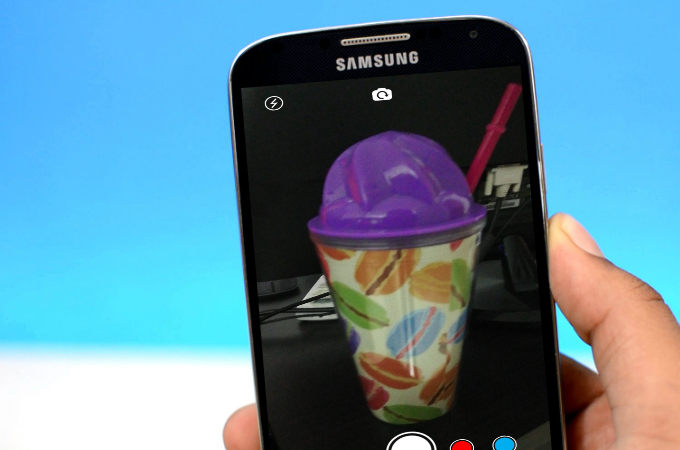 Users can upload videos from the Camera Roll. The created Vines cannot be donwloaded. The next on our list is the app called Tout. This is a free video sharing apps for iPhone. It allows you to create and share 15-second videos with various contents. To use the tool, you are required to register or log in to your account before you can post. On this app, you can follow friends and strangers alike and get your own followers. Allows the adding of voice narration. You can upload existing video or shoot a new video anytime. You cannot choose the part which you will upload. An alternative program to record and share videos is Alively. It is more fun and exciting, designed for capturing happy moments with family, friends and other colleagues. It provides a convenient way of sharing those jolly moments in real time. 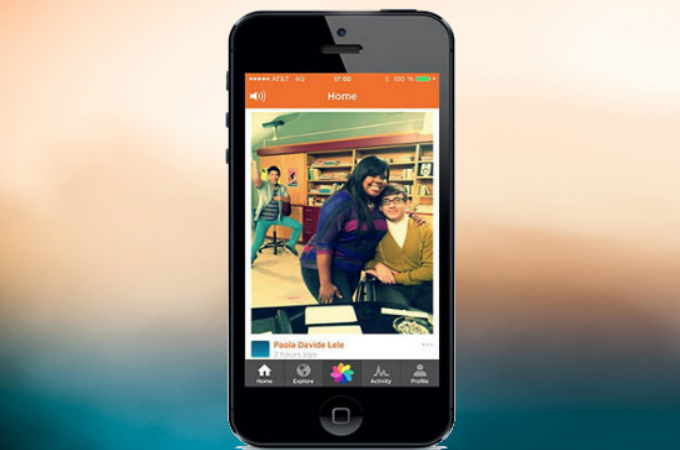 In addition to that, it lets you create a recording and add your friends instantly to share it as you capture. A free to use application. It can make good quality videos. It requires iOS version 8.4 or later for full compatibility. It only supports English language. The last recommended video sharing app for iPhone is Cinemagram. It enables you to capture 2-3 seconds video and add some animations and filters before sharing it with your friends. Just like other video sharing apps, this program also allows you to like different cines from different people and leave comments under them. A smooth interface for easy access. You can share videos instantly. Video is difficult to open when shared through email. 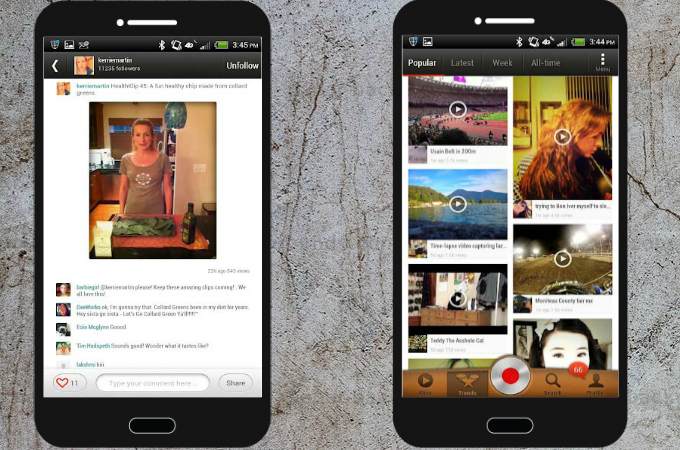 Klip is a good video sharing app for Android. It is a free application that allows you to view, record and share your own videos. Using it, you can preview a video in full screen or window mode while creating it. 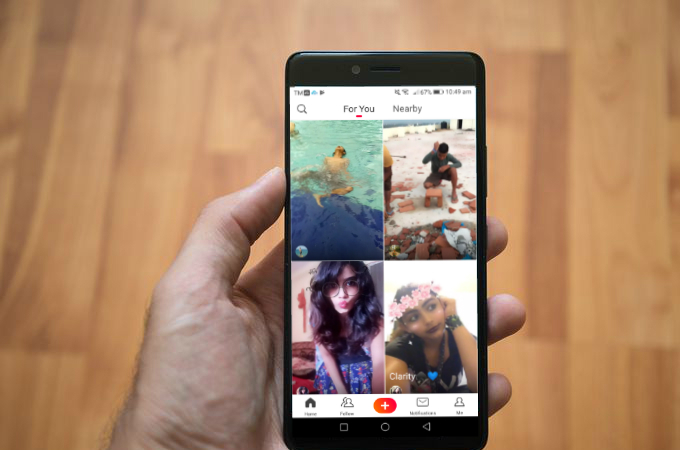 Aside from that, you can also follow different people to see their different video clips or block a user to prevent you from seeing inappropriate content. It provides a simple and convenient way of sharing videos. There is no limit on how many clips you can share. Cannot be used for professional videos. This application is available on Android version 2.3 and above only. 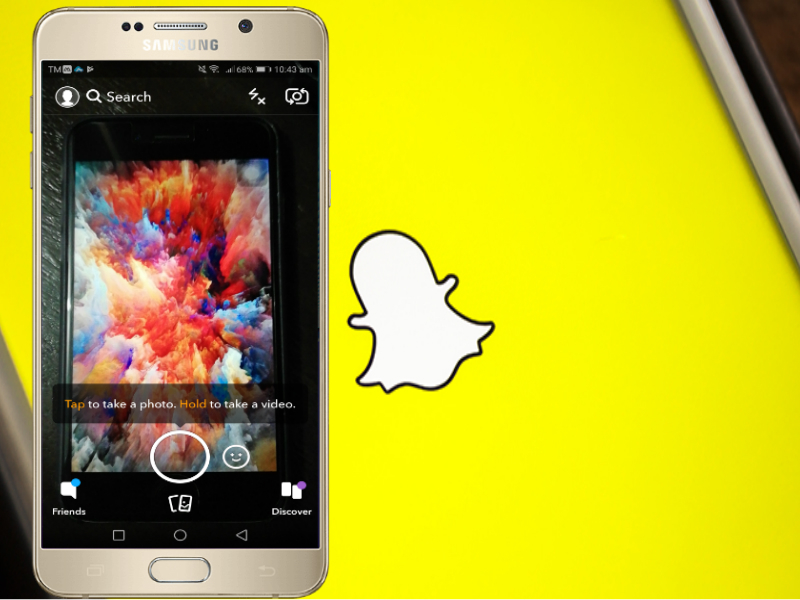 Snapchat is a popular mobile messaging app which allows you to share videos, photos, drawings and texts that can be viewed for onlye a fixed period of time. With it, you can communicate with your friends, view Live Stories, and many more. Besides, there are several cool and funny filters you can apply while you are recording your video. It has strong privacy settings. Shared contents will be available for 24 hours only. Users from 12-34 years old can use this app. An alternative best video sharing platform is Socialcam. This is a popular mobile program which can record and share videos. It lets you apply filters, themes, and custom titles and sounds on the recorded video. The videos you make will be stored in the cloud, which allows you to delete them without any trouble. It has an unlimited video length and storage. It has nine exciting effects you can add to your video. There are too many notifications popping up while using the app. The interface is a bit unorganized. Flipagram lets you make your unique short video stories out of your images from your photo gallery. You can create a fun video in just 3 steps. In addition, there are lots of great features you can try, such as cool filters, voice narration and so on. You can join the community and make friends easily. You can add photos from Instagram, Twitter and Facebook. Transitions of a video is a bit jumpy. It only offers 30-second audio clips. Last but not the least, Keek is also one of the best video sharing apps worth mentioning. It is a fun social networking platform which allows you to upload and share videos with all your friends. It also lets you to discover different posts uploaded by other users. A fast and simple interface. Videos can be shared to Twitter, Facebook, Instagram, etc. Users cannot communicate with the developers. Accounts are set public by default. As technology develops, more and more ways emerge by which you can share your videos and apply effects just by using your mobile devices. The above-mentioned tools are the best apps for video sharing. All of them have unique features and functions for effective and efficient video creation and sharing.